The blogs that are posted are primaryly for educational purposes only. They are to bring insight to other therapies that may help treat or prevent disease. Consult your doctor when adopting any forms of alternative therapies to yoyur wellness program. Take care and be in good health. Good Afternoon PCDI Health, Did you know that by addressing past issues can promote ultimate health. For Example, when a person is trying to lose weight; it is most likely not the weight that the person is really not trying to lose but a memory that cause them to gain it. Most person that are trying to lose weight doing a initial consultation will reveal past hurts, issues of unforgiveness, Sudden guilt, and emotional drainage (stress). These actions can bring the body to a stress level to retain fat and store unwanted calories. Make sure that you are emotional ready and address issues if not to a professional then to yourself in a mirror and tell yourself that all is well with the past and I forgive. It is not an overnight process BUT it will make emotional hurts bearable. Take care and be in good health. Have you every wondered what the term "Miracles" mean or the purpose? I sometimes wonder if it is a such thing. The definition of a miracle is "such an effect or event manifesting or considered as a work of God, a wonder, or marvel (Dictionary.com, 2012). This definition may shed a little light on the way how we may see medical miracles. Most people that believe in God may see modern medicine as a secondary afffect to the Godly miracles that may manifest in a patients healing. Godly or divine healing may contribute to a persons healing with prayer and even human placebo belief. There is an association between human pray and the prognosis of a patients condition. The testimonies of many have perceived it to be true. For example, a young man that was once sick on his death bed and with prayers from the saints of God the young man was able to raise up from his bed and walk. This may be a true story but with sound evidence of subjective data (lab work, x-rays,etc) how can skeptics view this as a miracle from the divine one. I am Christian myself, I believe in the power of the Lord but as a healthcare professional I believe there is still evidence and research that need to be done in this area. Many believers are ridiculed because of this belief system of healing. There are many that said :that they have rose from the dead. I personally have not seen a person rise from the dead in my practice but im sure that as I grow in the Lord as a health minister I will. There is a website that is ran by the United States Government. The National Centers for Contemporary and Alternative Medicine (CAM) is a research group based out of Washington D.C. They measure different types of Alternative medical techniques and display the results to the public as an alternative to conventional medicine. This website uses prayer or meditation with other forms of CAM therapies such as Massage Therapy, Acupuncture, Ayurveda Medicine (Indian Medicine) and even Tao Medicine (Chinese Medicine). These are all good alternatives to/or along with conventional health. 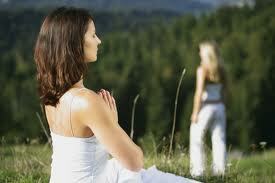 Mediation or prayer may be used by the patients to accomplish the goal of a better prognosis to illness. The miracle may come at an unexpected time. Most believe it is just by signs and wonders or the neighing prophet but with other therapeutic techniques the miracle may come much faster. There is a study that is now being conducted by the CAM society regarding "Strategic Plans to Address Racial and Ethnic Health Disparities" (CAM, 2012). This journal will compare other CAM therapies with the compliments of prayer in black women with breast cancer. This is a article that I believe will be a fantastic read. There are many CAM therapies that have healed people of their disparities but in the United States herbal are considered food products and can not cure but prevent illness.I believe that this should chance due to the self-diagnosing patient that may died as a end result. Prayer can help along with CAM therapies but under the direction of a CAM practitioner or Medical Doctor. My final thought, is to compare the CAM therapies with other conventional therapies. Some therapies may compliment one another and some may contradict. There is nothing wrong in prayer/praying for someone that is sick but make sure before going off your regimen please consult your healthcare provider. The whole point of the post to teach the reader to research, look all options of therapy, and educate themselves about both conventional, spiritual, and other CAM therapies that maybe helpful in health and wellness. Take care and be in good health. 1. National Institute of Health CAM (2012) Special Populations Program: Strategic Plan to Address Racial and Ethnic Health Disparities, http://nccam.nih.gov/about/plans/healthdisparities#jump7, Retrieved 09/16/2012. The world of natural health is now growing at an all time high with bottles and bottles supplements, pills, caps, tabs, creams, and liquids that promise to cure everything such as the common cold, heart disease, or to cure or prevent cancers. Most consumers do not realize that the herbs they are taking are actually medicines just like aspirin or Tylenol. It is best when preventing disease, the patient or consumer must take in account that not all herbs and supplement work the same for everybody at the same dose regime. It is best to consult a license herbist or naturopath when deciding what herbs to take as a preventive. All plant-based medicines have side effects for long-term usage and can cause dramatic trauma to your body systems or even death. When taking preventives medications, it is important to let your primary doctor know that you are taking "dietary supplements" to either aide in the healing processes or as a preventive because most conventional medicines will interfere in the physiology of the herbal medicine and it can cause adverse reaction or even cause death. The best preventive method of healing is through food sources or vitamins through whole food sources. There are other ways on preventive health such as sun therapy, fresh air, meditation time (5mins or greater), nutrition (whole foods therapy), and pure water (clean). These are all ways that can prevent disease. There are supplement that you can take to prevent disease BUT by preventing sickness through food sources, that likelihood of rebound disease or secondary illness will be minimal. Was this information helpful to you? Let us know what you think. Take care and be in good health. According to the CDC (Center of Disease Control) breast cancer is the leading cause of death among women and prostate cancer among men. Most cancers are caused by high-fat diets, processed to death foods, which is a contributor to early rheumatoid arthritis, and the surrounding elements such as contaminated soil, polluted air, and contaminated water. Cancers can be treated through conventional medical methods such as chemotherapy and radiation. The alternative methods of treating cancers may include herbal remedies, sun and water baths, and massages. These are all methods to producing a healthier vibrant immune system. Nutritional therapy may contribute to boosting the immune system and fighting cancer cell growths. Brown rice, green tea, and garlic are the leading foods that fight cancer, stop the growth of certain tumor cells, and slow or prevent free radicals from mutating good cells. Tumors are cancerous masses that may cause pain or localized discomfort in the human body. Tumors are cells that do not have the DNA (Deoxyribonucleic acid) or the genes to stop producing other cells thus the cells stick together and form balls or tumors. Tumors came from the Latin word “oncos”, which means to swell. Whole garlic has been shown to stops and shrink tumors over a therapeutic period (6 weeks) Green tea has been shown to reduce the swelling and aid in boosting the immune system to fight foreign malignant cancer cells. This article is used to educate the consumer and not to diagnose. If you have immediate medical need please seek a naturopath or medical doctor for treatment. Take care and be in good health. Heart disease is one of the leading causes of death in the United State with cancer being the second. Heart disease is usually manifest when disease is present in the body. The patient may not even know they have heart disease until it lands them in the hospital emergency room. Heart disease can manifest as a heart attack, stroke, or poor circulation resulting in DVT (distal vein thrombosis). The contributor to heart disease are poor eating habits such as high fat diets, obesity, secondary illnesses such as diabetes, genetics, and race. There are element such as race and genetics that we cannot prevent heart disease but we can learn to slow the disease process to live a healthier lifestyle. 3. Performing moderate exercises lasting longer than 10 minutes. These are all ways on reducing heart disease and trips to the hospital emergency room. If you like, more information please visits the American Heart association’s website at www.heart.org or call PCDI Healthcare and Consultants. Take care and be in good health. In today’s society health and wellness, products are on the rise with herbal wellness pills, weight loss drinks, and 10 minutes exercise routines can be all over whelming. In America, we are a society that is instant made. We want solutions fast for the problems we may encounter. This is a crippling solution that we handicap our children of tomorrow if we do not employ good eating habits. 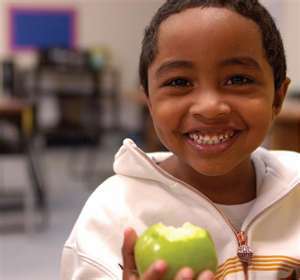 Child obesity can be treated with education regarding diet and exercise. Obesity can also be corrected by redirection of old habits and rewarding new positive changes in habits. The act of eating should be enjoyed and not as an act of necessity for living. The greater influence on child obesity reflects on how we interact with other sibling in our homes. Most children eating habit are a picture of their home setting. Most children that have domestic problems in their home tend to eat more as a coping mechanism. According to health news, 16.5 percent of children that are raised in homes with violent parents tend to become obese by the age of 5 year old. This trend will increase the obesity with the rise of reported domestic violence crime (Boynton-Jarrett, 2010). A patient’s mood or perspective on stressful occurrences may increase the need to seek comfort in food that is not so good for us. The American diet as of 2010 is getting better with awareness raised by our First Lady Mitchell Obama. The First Lady introduced fresh gardening and proper eating habits to our children. I find this quite interesting because of the old habits of yesterday into healthier food choices of today. My ultimate quest is to find the most amount of positive healing food that we can take to cure or prevent disease than to take a pill. There are ways on preventing obesity and creating a positive lifestyle of health and wellness. 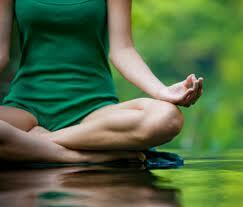 Several therapies may reduce stress and make changes in your lifestyle. For example, massage therapy has been shown to be a supportive technique with patients battling cancer, AIDS, and chronic pain (Werner, 2010). Most conventional practitioners do not believe in alternative methods because most of the therapies do not have a supportive evidence based care criteria. The government has stepped in to show that therapies that are alternatives do have some purpose to heal and prevent. Websites such as National Centers for Contemporary and Alternative Medicine educates the public from misguided information from “quacks” Which take the consumers money and mislead them to cures that are not ideal or good to be true. Take care and be in good health.